No images of Solar Wind Renewables Installations. Cameron from solar wind renewables showed genuine interest in providing the best solution to my solar requirements. 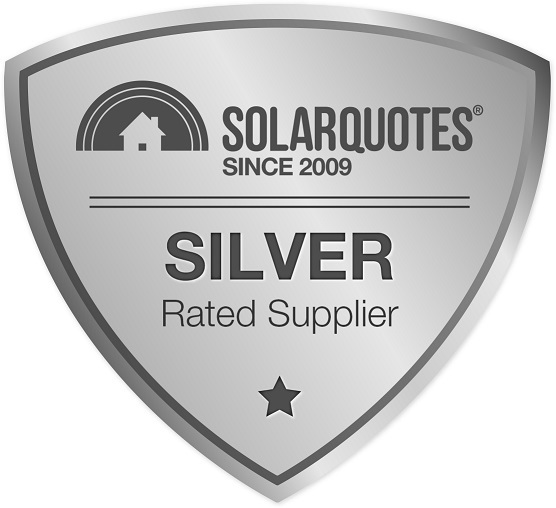 Just one point for prospective solar panel purchasers to take into consideration when making the decision to go solar is the quoted value of the STC's in relation to your proposed solar system. In our case the short period of a few weeks between accepting the quote and having our panels installed saw the price of the STC's drop from $38 to $29 which resulted in a significant increase in the final price of the system. This is the result of the STC market mechanism in action which does see the value fluctuate depending on the number of solar panels being installed at any one point in time. 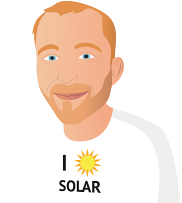 We found Cameron from Solar Wind Renewables very helpful, professional and reliable. He explained the system clearly and appeared to work at maximising the benifits of our system. Overall a nice guy that we felt we could trust. I would have no hesitation in recommending this company and my installer Cameron. He has excellent technical qualifications in this field of work. Once installed, did a detailed system components walk through with me plus, provided information on trouble shooting/resetting system i.e. how to switch off system at Power box and Inverter and re-boot. He also went over and above just doing the installation. I had mentioned I had some broken tiles when he 1st came to view the house and was organising to get someone to replace them for me as I had spare tiles. On completion of my Solar system, he also informed me he had replaced my tiles for me. He did not charge me for this work even though I offered to pay him. Very rare for this to occur nowadays (at least with many of the Tradies I have had to deal with). Also took time to ensure a thorough clean up of all areas on completion of work. Prepared to spend as much time as required in attempting to explain the technical details in a way which it made it extremely easy for a non technical person to understand in order to make an informed decision. Not at all pushy. Did full house/block walk around to determine most efficient and productive placement for panels. Very pleasant and courteous installer. Several aspects of Cameron Davis who installed the system proved to be a preference for quality, honesty, integrity, genuine alternative considerations, ability to explain details, sincerity, and ability. I felt content with his suggestions and his ability to clarify any concerns.